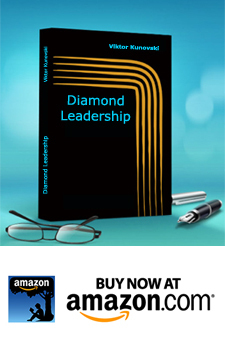 Home › DIAMOND LEADERSHIP BOOK › Creative Dialogue 2 – What makes creative dialogue innovative and inspirational? Nick Udal, the founder of the consultancy NOWHERE, has dedicated his latest book to the new leadership skills needed to master, deliver, and ride a “creative rollercoaster” – this is how Nick and his crew at NOWHERE refer to the creative dialogues and deep dives interventions. His description of the rollercoaster overlaps with the findings and experiences of both William Isaacs with his dialogues, and Otto Scharmer in his U Theory. Picture taken from Nick Udal’s book, “Riding the creative rollercoaster”. The building of the container starts at the beginning of the intervention. Great attention is paid to the quality of the space where the intervention takes place. High levels of natural daylight and a wide open space makes a huge difference. The quality of the contact between the participants in the dialogue is paramount, since this is what makes the container safe, supportive and trustful. Participants are seated in a circle, or sets of circles. To begin the creative dialogue, it is necessary to have a key question – the Breakthrough Question, as Udal calls it. The key question is necessary primarily as a kind of focused elastic which continuously maintains the creative tension. The key question, together with the build-up of the container, serves as a kind of coach or car, in which all the stakeholders embark together and begin the process of diving into the unknown. This is the subtle phase of preparation – on-boarding. The stable formation of the container is the responsibility of the leader or leadership team. This is usually done with the help of an experienced catalyst – a person who has a high capacity for maintaining presence, as well as for holding the creative tension that occurs within the system during the dialogue, especially while the team is in the zone of the unknown/questing. Holding the creative tension during this period is crucial. This zone is dominated by very difficult feelings to sit with, such as impatience, fear, frustration, inadequacy, helplessness, anger, etc. Most people faced with these feelings are reactive and impulsive, and reject them, thus not allowing what is present to be there. Navigating through this zone is a real rollercoaster, which requires high levels of skill and the will to withstand this pressure. It is only after holding this storm long enough, that the system reaches the level of relaxation (the moment of breakthrough), and enters the creative flow – Illumination. If in any way the system ignores and suppresses this tense energy (due to the reactivity caused by impatience, or the desire to take impulsive action), or avoids it (because it is an uncomfortable feeling), or in case the catalyst simply cannot hold the tension, the process simply collapses, and the system continues to operate in the zone of comfort (flat line) that gives the same old known performance.